I didn’t get as many responses to my AHS Questionnaire as I had hoped for. But, nevertheless, I got some excellent responses and have pieced together some very interesting observations as a result. Thank you very, very much to the people who did take the time to complete my form. I hope that pooling our experiences helps, even a little. A bit of backgound for any non-Africans or non-horse people reading this. 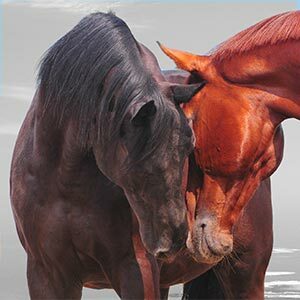 African Horse Sickness is a highly contagious horse disease spread by midges in the summer season here in south Africa. Although most of us vaccinate yearly, horses continue to die, in increasing numbers. I sent out a questionnaire late last season, hoping to be able to make some sense of what has been happening and perhaps to help us be a bit better prepared this year. The areas from which I received reports: Gauteng, Northern Cape, North West Province, Zimbabwe. Ages of the horses involved varied from 2 to 19. It seems no-one is immune, even if they have (like the 19 year old mentioned earlier) been vaccinated since birth. A large variety of breeds are affected – Fresians, TBs, ponies, various WB breeds. Again, no breed seems more susceptible than any other. Diagnoses varied – Dikkop, Dinkop, Combined, West Nile, Encephalosis. I included the stats from the non-AHS diseases because I think they are still relevant in terms of treatment and prevention. Most fatalities, in this survey, occurred with the Combined AHS. The diagnosis was confirmed and reported, in almost all of these cases. Preventative measures used: stabling, spraying, garlic, Redcell, Immune mix, smoking drums, oil on skin. One stableyard in the Northern Cape had a surprisingly high survival rate – 9 out of 9 confirmed cases. Preventative measures used at this yard were mostly just stabling and vaccination. Treatment was mostly antibiotics and Redcell. I have got a totally awesome Google Maps file of the cases used in my survey, exactly where they happened and all of the treatment details. (Thank you, Bernie!!!) Email me if you would a copy. A friend of mine has put together a very user friendly questionnaire (thanks, Denise!) where you can enter your AHS experiences. Please share widely – the more respondents we can get, the more meaningful the results will be. Lets not go blindly into the 2011/2012 season. Click here or go to www.ahsinfo.co.za to find out more. Sorry, Ann, I can’t do that, I promised not to. But they treated as above. Hi we are desperately trying to save some of our horses who have contacted this horrible Ahs . Is there anyone at all we can speak to to check we are doing all we possibly can to help them. They were all vaccinated and are being treated by vets? Please help!! Have you done further research since 2012.